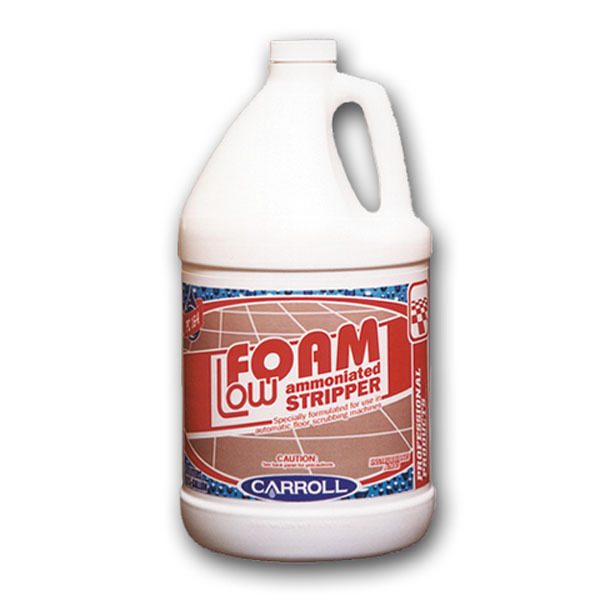 Removing floor finish is easy with this stripper because it utilizes the time proven ingredient of ammonia.Â This concentrated product aggressively removes water emulsion floor finishes, waxes and sealers. ItÂ rapidly penetrates and breaks down multiple layers of detergent resistant, metal-interlocked, polymer floorÂ finishes. The finish is emulsified and is easily removed with a wet-vac. In dilution, this product is safe to useÂ on all resilient and non-resilient surfaces.